Our Summer Adventure Group runs five days a week, Monday through Friday from 7:00 a.m. to 6:00 p.m. There are four options available and are listed on the application form. We also offer drop-in care on an hourly basis but you must call ahead to make sure that room is available. 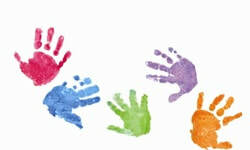 Some of the past themes have included: All About Me, Gardening/Cooking, Our Midland Area, Creative Arts and Fitness Week. 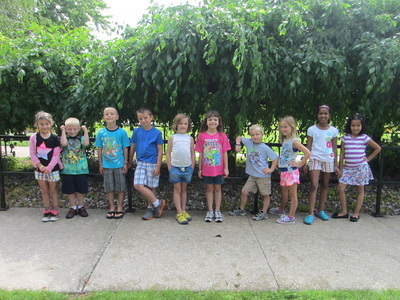 We have had visitors like Lou E. Loon, Karate students and Soccer players along with field trips to such places as the Farmer's Market, Dow Gardens, Whitening Forest, Tridge Water Park and playground, and the Chippewa Nature Center. The staff works together to develop the components of the themes, trips and visitors, each sharing their ideas and activities with the children. 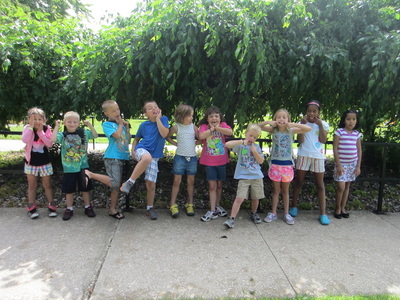 The Adventure Group enjoys activities such as riding bikes, playing tennis, baseball, soccer, and taking walks to different parks in the area. We also try to go swimming two days per week at Plymouth Pool. Along with our application form we ask for a non-refundable $20 per child fee which is used as a registration/activity fee. You may notice that the activity fee for the Adventure Group is higher than our Summer Camp, as they will be attending swimming days at Plymouth Park.